The Sarjeant Gallery is displaying a set of costumes from New Zealand Opera for the second time, to coincide with Wanganui Opera week, 9th to the 22nd January 2017. 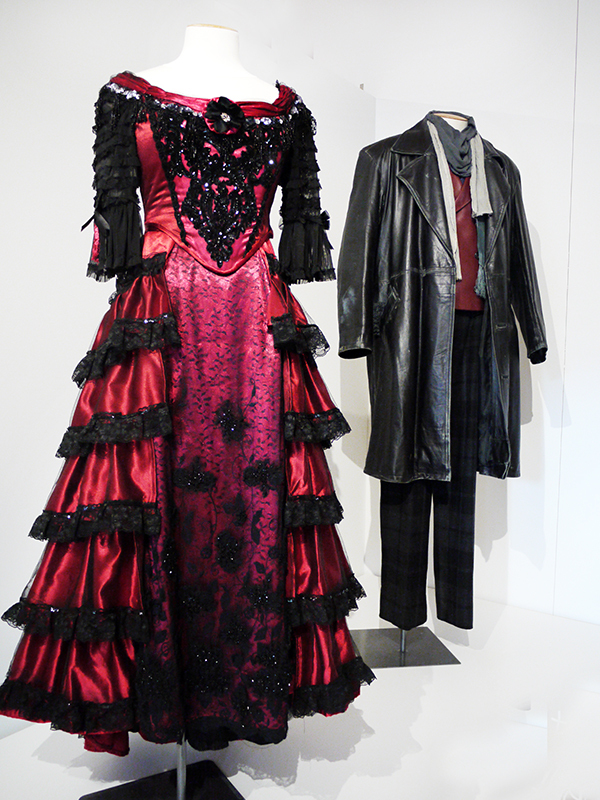 This year’s costumes are from the recent musical thriller Sweeney Todd: The Demon Barber of Fleet Street. A co-production with Victorian Opera, Sweeney Todd was directed by NZ Opera’s General Director, Stuart Maunder and conducted by Benjamin Northey, Chief Conductor of the Christchurch Symphony Orchestra. It was performed in Auckland, Wellington and Christchurch in September and October of this year. The character of Sweeney Todd originally appeared in the 19th Century “penny dreadful” story The String of Pearls: A Romance written by James Malcolm Rymer in 1846-47. This tale of a murderous barber was adapted for theatre before it was even completed, beginning a relationship with the stage that is still being developed in different manifestations to this day. Composer and lyricist Stephen Sondheim created the score in 1979, which has since been performed across America, Europe, Australia and New Zealand. The story of Sweeney Todd as told in NZ Opera’s 2016 production follows the violent Victorian-era exploits of a homicidal barber who returns to London, after years in exile, to take revenge on the judge who ruined his life. When vengeance escapes him he turns his rage on his patrons, murdering them and giving the bodies to his accomplice Mrs Lovett, who bakes them into meat pies to sell to an unsuspecting public. The production’s title character was played by Christchurch-born baritone Teddy Tahu Rhodes. Australian soprano Antoinette Halloran was his scheming partner-in-crime Mrs Lovett. The magnificently bedraggled Beggar Woman was played by Helen Medlyn and Sweeney’s daughter Johanna by Amelia Berry, who performed at the Sarjeant Gallery during Wanganui Opera Week in 2011. All of these character’s costumes feature on display at the Gallery. Elizabeth Whiting Costumes Ltd, who designed and created the costumes, has been producing costumes for theatre, dance and opera for over twenty years. She is passionate on the concept of a creative team coming together to produce work “more wonderful than each individual member could produce.” Whiting runs her own company and is closely associated with NZ Opera. 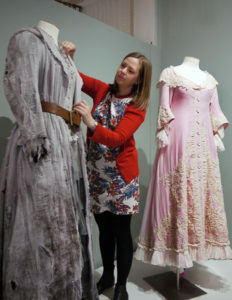 The costumes have been generously lent to the Gallery by NZ Opera, assisted by New Zealand Opera School Foundation Trust Director Donald Trott and Elizabeth Whiting Costumes Ltd. A floor talk featuring the Wardrobe Supervisor from the Wellington production, Lee Williams, will take place on Saturday 21st January at 1pm. In conversation with Assistant Curator Jessica Kidd, Williams will discuss the design and concept behind the costumes, their production and her role for the opera. Now in its 22 year, the Wanganui Opera Week is a series of public events where students of the New Zealand Opera School are based at Wanganui Collegiate School during 2 weeks in early January. There are various performances culminating in a Gala evening at the Royal Wanganui Opera House.